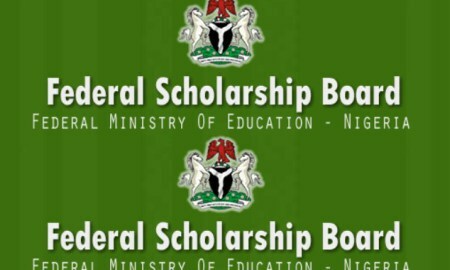 Visit Federal Ministry of Education’s website www.education.gov.ng and click on READ MORE on Federal Scholarship Board ICON on the Home Page: . Undergraduate level – Engineering, Geology, Agriculture, Sciences, Mathematics, Environmental Sciences, Social Sciences, Biotechnology, Architecture, Medicine (very limited), Languages, Sports, Law, etc. All applicants for Hungarian Scholarships must visit the website: stipendiumhungaricum.hu before 15th january, 2019. Complete the application form online  Print the completed form and bring to the interview venue in addition to 2.0 above. Postgraduate applicatns will be required to submit Academic transcripts and NYSC discharge or Exemption certificates only. NB: Candidates nominated by the Board will be required to submit to Federal Scholarship Board the following: i) Authenticated copies of academic certificates; ii) Data page of current International passport; and iii) Specified Medical Reports from Government hospitals. iv) Police Clearance Certificate where necessary. IMPORTANT INFORMATION: NA/SDGs The scholarship are tenable in Nigeria and take effect from the beginning of the academic session.  It shall not be held at the same time with another Award nor for part-time studies.  Change of course or Institution is not allowed.  The Scholarship award is to assist the scholar in the payment of: i. Institutional charges and fees and ii. For Personal maintenance; iii. SDGs Scholarship is for female only. Please note that this particular application does not attract any processing fee, therefore, beware of fraudsters!